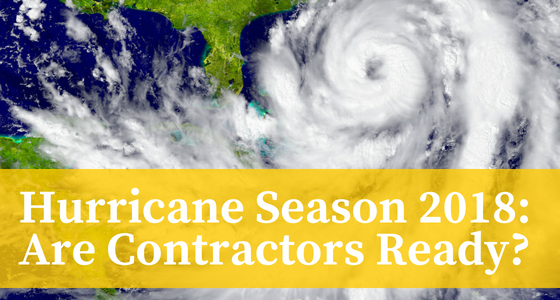 Hurricane Season 2018: Are Contractors Ready? What did the construction industry learn from Harvey and Irma? The first day of June signals graduations, weddings and the sweet, sweltering days of summer vacation. Unless you live in or near Gulf and Atlantic coastal communities, then it means hurricane season is here. The 2017 hurricane season was brutal with 17 named storms, 10 hurricanes and 6 major hurricanes delivering devastation to the U.S. and Caribbean nations. For the first time on record, the U.S was smacked by two category 4 or stronger storms in the same season. Harvey hit Texas and Louisiana in late August, causing 82 deaths and over $180 billion in damages. Two weeks later, Irma covered the entire state of Florida and parts of Georgia and South Carolina, taking 61 lives and causing an estimated $200 billion in damages. Forecasters predict a normal or above normal season this year, with 10 to 16 named storms and up to 4 becoming major hurricanes. What does this mean for contractors and the construction industry in Florida and Texas? Preparation and risk management are necessities, not luxuries. Labor shortages in the construction trades are still prevalent. If, or rather when, another major storm hits we can anticipate more contractor, sub-contractor and labor shortages. By vetting ahead of time, construction workers can pretty much pick and choose when it comes to a storm-induced labor shortage. The same applies to general contractors that need to hire extra crews quickly. Spotting reliable construction operations or sources of additional labor ahead of disaster is good practice. Know who not to do business with, too. Material shortages are a given in disaster situations. Vetting suppliers and researching availability early in the hurricane season is also prudent. Seek out information on surplus or shortage estimates for critical rebuilding materials and possible alternate sources. Review licensing, lien laws and payment laws in any state your company works in, or plans to work in, as the laws can vary and change. 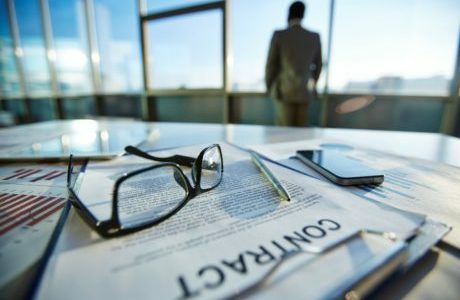 By verifying that all construction legal paperwork and procedures are up to date before disaster strikes, cooler heads and quicker decisions prevail, allowing for a more agile response to post-storm construction contracting. It’s not the wind. It’s the water. Water management infrastructure and flood mitigation in areas near or below sea level are critical in determining the outcome in terms of damage to a community hit by a hurricane. Torrential rains and storm surge cause greater loss than the initial storm in many instances. Contractors and construction companies operating in areas seriously at risk for flood loss should be ready to secure assets and move materials, as well as know how to maneuver safely at flooded job sites. Large or small, a construction firm or contractor should have a disaster management plan in place. Managing during the crises, getting back to normal as quickly as possible, and recovering losses as soon as possible are the goals. What should a disaster management plan address? Identify risks – This entails discussion of the most likely hazards and disaster events and worst-case scenarios. In Florida and Texas, hurricanes should be front and center in any plan. Other issues to address include fire, explosion, chemical spills, active shooter, etc. Establish preventative procedures – While there is no prevention for hurricanes, reducing losses before, during and after a storm by focusing on personal safety, securing facilities and materials, and disaster training are important. Develop a response plan – For every scenario imaginable and applicable, have a plan. Get response protocols down to a fine point, and address all possible variations. Play the “what if” game. Ensure that each part of the plan is adaptable, and have back-up communication plans in place to circumvent disruptions in normal communications. Don’t forget document preservation and management, whether digital or hard copy. Tell everyone – Communicate the plan to all personnel. Identify who will do what, where and how. Train people to meet their assigned responsibilities in a disaster setting with confidence and competence. Drill – Test the plan to find holes or weaknesses. The middle of a hurricane is no time to practice disaster response. Schedule hurricane drills and update the plan as needed. Keep records of results and work on improving and refining as part of the company’s overall risk management policy. Payment Bonds and Performance Bonds from top rated sureties add a layer of confidence and protection during hurricane season. Advanced preparation and putting a detailed disaster management plan in place exhibits good business practice and proactive risk mitigation to sureties. What does your Percentage of Completion data say about your company? Work in Progress (WIP) is what a construction company or contractor invests in delivering a completed project, including materials, labor and overhead throughout the process of construction and in all stages of a construction contract, right? Well, yes and no. Those are definitely components of a WIP. In reality, a WIP translates to numbers or, more accurately, an accounting schedule. It is a moniker attached to the balance of costs associated with a project as it moves from one stage to the next. And those numbers end up on a P&L statement and balance sheet, which bankers and sureties consider when setting rates. For standard construction accounting using a Percentage of Completion (POC) methodology, WIP schedules for each accounting period are required (per GAAP). POC is calculated by dividing actual costs (to date) by estimated total costs. Other POC data tracked include revenues, gross profits and billings. WIP reporting serves an important function as an early warning system by tracking actual job totals for the completed percentage of the job during and through a specific period, and offering a snapshot of profitability at a specific point. Accurate WIP data reporting can head off cash flow and budget problems, which are extremely important to smaller contractors that perform one contract at a time. 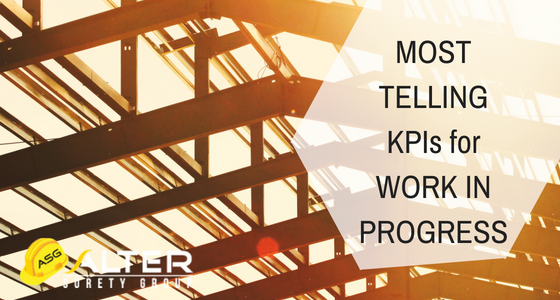 Since a timely WIP schedule offers a helicopter view of contract Key Performance Indicators (KPI), it is also an immensely important strategic tool for larger companies with multiple contracts ongoing. Underbillings – although carried as an asset on a balance sheet, this number can signal profit erosion, unapproved change orders, billing issues or vendor invoicing delays that may result in cash flow problems. And cash flow problems usually equate to increased contractor financing costs. 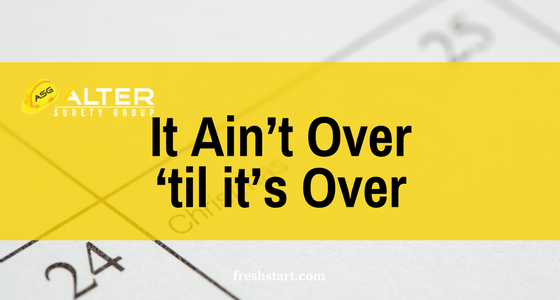 Job Borrow – this occurs when billings are more than actual to-date costs incurred AND the difference is more than anticipated total gross profit. If your budgeted gross profit is 12% on a half million-dollar job ($60K) and you’ve billed $300K YTD on $200K of actual costs, you’ve “borrowed” $40K against the job. If that money stays in the construction account, it’s not as big of a problem. But if it goes to pay for other general or administrative expenses, the money won’t be there to finish the job. A company that robs Peter to pay Paul may limit its ability to secure construction bonds with a reputable surety. Profit Fade/Spike – cost overruns due to sloppy management or poor estimating can cause profit fade, as can inaccurate reporting in prior periods. On the other hand, profit spikes in final reporting periods may indicate that you were too conservative with beginning estimates. Margin history and margins for open jobs should run relatively consistent. Remember, the bank may have made financing decisions based on profit estimates. Accounting could be impacted, and IRS taxes may be affected, too, by profit fade or spike. Your company’s monthly, quarterly or annual WIP schedule provides profitability insights not only to your CFO and bankers, but also to bonding agents. 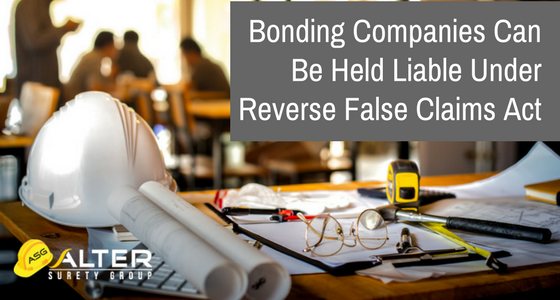 These statements can affect how sureties view your financial practices and bonding capacity. 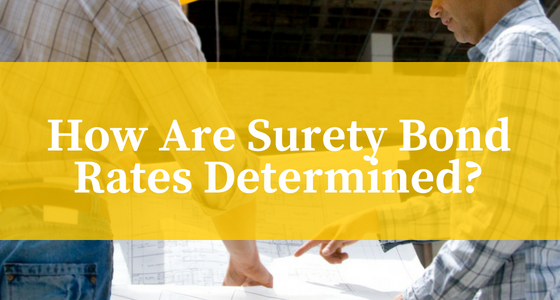 For more information on understanding the effects of Work in Progress KPIs on construction bonds and limiting other risks, contact the professionals at Alter Surety Group at (305) 517-3803 or visit www.altersurety.com.